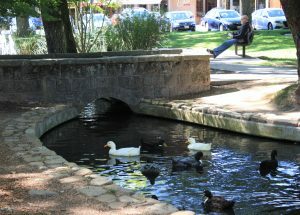 The City of Sonoma maintains 14 parks with a variety of park amenities as well as more than 4 miles of Class I bike paths. In addition, Sonoma is home to the Sonoma Overlook Trail, Montini Preserve and the Sonoma Garden Park. In Sonoma, our recreation, youth, and senior programs are provided by community partners. Sonoma roots for its home team, the Sonoma Stompers, a professional baseball team in the Pacific Association of Professional Baseball Clubs. How are recreation services provided in Sonoma? The City of Sonoma has opted not to operate its own Recreation Department. Instead, traditional recreational and community services programs (including youth sports, arts, and senior services) have been provided over the years by local non-profit organizations with the support of the City. Learn more on our Recreation page. Where are the City’s bike paths and lanes located? Bike paths and lanes are shown on the City’s Bicycle Map. The existing bicycle network in Sonoma consists of Class I pathways and Class II bike lanes, and Class III bike routes. The City’s longest Class I pathway is the Sonoma City Trail, which generally runs east-west and extends for approximately 1.5 miles across northern Sonoma. The Nathanson Creek Trail extends north-south along Nathanson Creek in the City’s southeast quadrant connecting local neighborhoods and Sonoma Valley High School and Adele Harrison Middle School. The Madera Park Trail extends north-south along Fryer Creek from Leveroni Road at the southwestern city limit and connects to 3rd Street West. It includes several short spur connections including the KT Carter Trail and the Hertenstein Park Trail. The Sonoma Creek Trail, located on the western edge of the City south of Napa Road is located on the eastern bank of Sonoma Creek, and provides connections to Oregon Street, Studley Street, and West Napa Street and includes a bridge over Napa Creek to Riverside Drive. Class II bike lanes are provided on Studley Street, Oregon Street and Dewell Drive along with a few other short segments. Class III bike routes are provided on Second Street East, Third Street West, Oregon Street, and Curtin Lane. Learn more about bicycling in Sonoma.